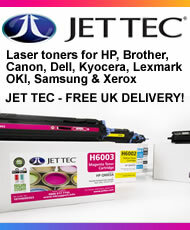 When you buy a recycled Jet Tec or GreenTech product you will get a fully guaranteed recycled cartridge for your printer. Our recycled products come with a 100% manufacturer's satisfaction guarantee, so you can be sure it will be a quality product. Also, recycled products are environmentally friendlier than their brand new equivalent and also up to 70% cheaper. The Jet Tec recycling process ensures that each cartridge we are able to re-use is full to the maximum with high quality printer ink. 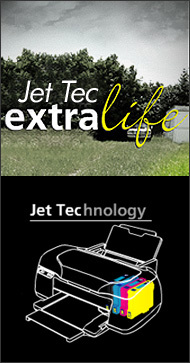 Due to the technique used Jet Tec are, in many cases able to offer extra ink within the recycled cartridge when compared to the original cartridge initially manufactured! Benefitting you and the environment twice over! As the cartridge is not only recycled but contains extra ink, therefore lasting longer. 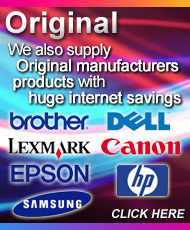 Our recycled range is available on selected Canon, Dell, HP, Lexmark and Samsung printers. We are able to recycle your empty ink cartridges. Click here to find out which ones can be recycled and how to recycle them for free!